Hello folks, once again back with the Tech talks. This time its web. As far as I know, it was HTML that got me interested into computer world and you can even say that it was HTML who made me an Engineer. It was the first language, Mark-up though, that I wrote code in solely with my own will. I still remember that evening, I came home from college, turned on the computer and sat with a HTML tutorial book I had borrowed from the library to develop my own website. It was the language which gave me an evident that computers are not fools. There is something you can do with computers and programming if you know quite a bit about them. And it all began from there. Today I code in so many different computer language Java & PHP being some of them. The wonderful language of the web that every browser understands is about to get a new specification, elimination of some of the existing elements and ready to change the world once again. The HTMLWG (Working Group) has been set and started a long lasting testing of the specification of HTML5. 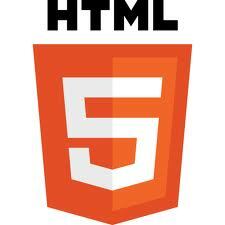 HTML5 has already being used on a large scale by the web developers all over the world. Some of them have started replacing Flash player and leveraging the ability of canvas tag and video tag to play the animations. With the advancement of HTML, emergence of different APIs for the web development will also help boost the growth of the web. The APIs like Geo-Location, Web Worker, JQuery and Offline-Storage are amongst the few to be named. Many hardware software giants like Sony, Netflix and LG have already joined World Wide Web Consortium (W3C) to keep a watch on what course is the WEB set to, so that they can pave a better way for their IP TVs and Internet connected televisions. And I believe that there is a lot more to come in the web world as anything is possible in the4thdimension.